Some would say this is our best tour, but the Eumundi Markets only operate twice a week, so book early for this full day experience. 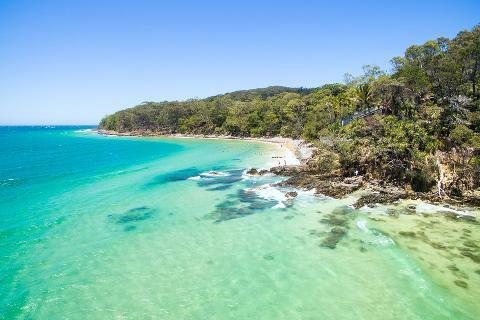 Travel through the spectacular Blackall Ranges to Montville, Eumundi and Noosa and travel back down the Sunshine Coast to Yandina and the World's largest Ginger Factory. You will see spectacular views of the Glass House Mountains.
. Travel North from Brisbane into the Blackall Ranges where you will experience fantastic views of the Queensland coastline. 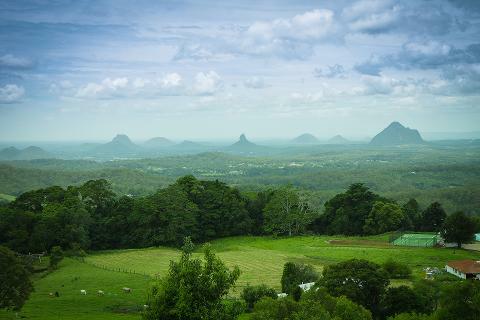 As you travel along the mountain ridges you pass through farms and quant villages.
. Visit the new Mary Cairncross Scenic Reserve and Lookout to enjoy the best views of the Glass House Mountains. You can have morning tea here if you wish and undertake a tree-top walk.
. A short drive will bring us to Gerrard's Lookout where you can marvel at the coastal views to Coolum, Maroochydore, Caloundra and Bribie Island.
. You will visit Montville perched on the Range and have free time (45min) to explore this quant mountain village of art galleries and eclectic range of boutique shops.
. You cannot visit the Sunshine Coast without visiting the famous Eumundi Markets. 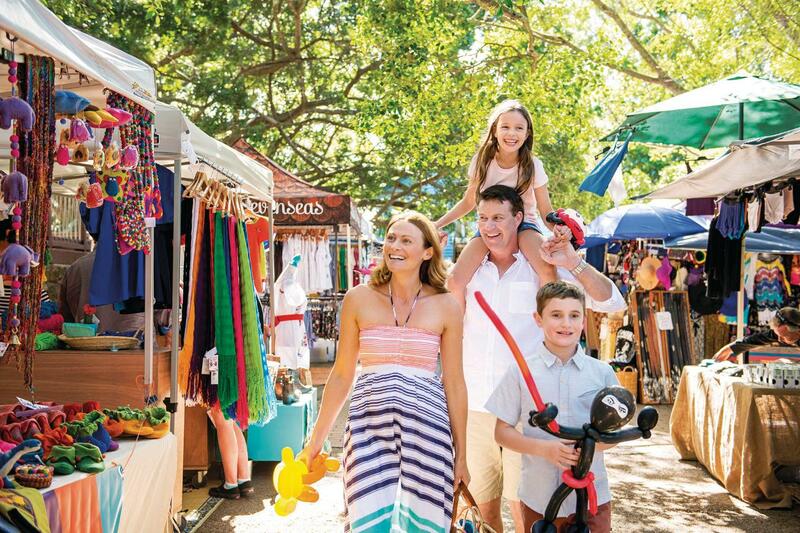 This is Australia's premier artisan and country markets where you will find a large range of goods, art, food and characters. Suggested lunch stop. 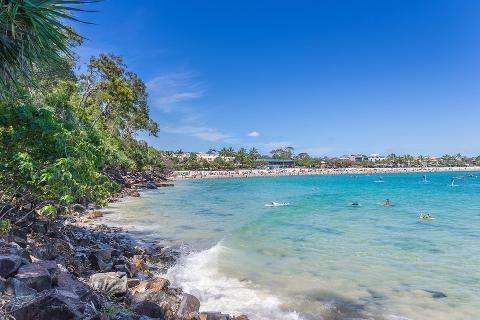 Free time to explore - 1 hour.
. A half-hour drive brings us to Noosa, one of Australia's most popular beach destinations and the playground of the "rich and famous". The small size of this "village" nestled behind the National Park provides the exclusivity and uniqueness. 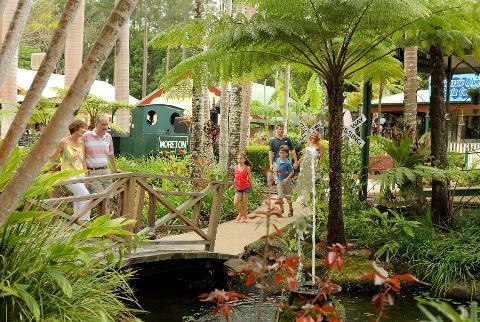 Free time 1.5 hours.
. We leave Noosa and travel south past the beaches of Sunshine, Marcus, Peregian and Coolum Beaches before heading inland through the cane fields to Yandina.
. Visit the World's largest operating Ginger Factory at Yandina. A short stop (30 min) will allow you to visit the Visitor's Centre and perhaps try their delicious ginger ice cream.
. No meals or snacks provided on this tour.